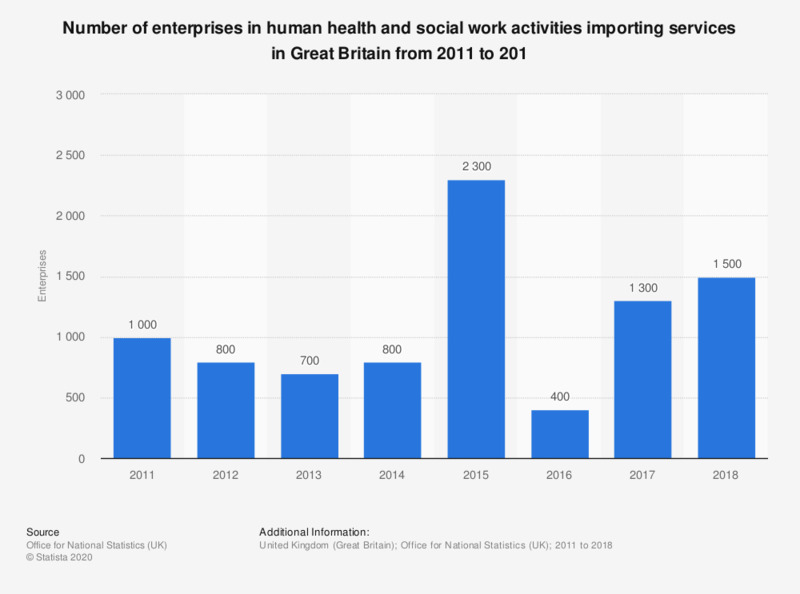 This statistic presents the number of enterprises in human health and social work activities importing services in Great Britain from 2011 to 2017. The number declined slightly in 2012 and 2013 but increased again to 800 in 2014. By 2015 there was a net growth of 1.5 thousand enterprises over the last years, although the following year numbers dropped to 400. In 2017, the numbers increased to 1.3 thousand.